We eat out more often these days than 40 years ago, when a Sunday visit to the local Toby Inn was a special treat to be enjoyed. However, restaurant food today provides many temptations to encourage us to over eat - from the bread placed before us on arrival to the biscotti sitting alongside our final cup of coffee. So how do we eat healthily at restaurants? From ordering before your friends to skipping the olives, the Daily Telegraph revealed last week how to enjoy eating out without loading up on calories. One in six meals eaten by UK adults are now consumed outside of the home. It seems that for many people, restaurant food is no longer a treat, but a way of life. If you eat out only occasionally, then of course it’s fine to indulge in the steak and kidney pie and sticky toffee pudding. But the rest of time, if you care about your health (and your waistline), you need to think about the choices you make. While fast food restaurants like McDonald’s and some restaurant chains like Harvester, Pizza Express and Nando’s publish a full nutritional breakdown of their meals, either online or in store, most restaurants don’t, so it’s impossible to know how many calories or how much fat ,salt or sugar your food contains. Labels that say 'low-fat' or 'high-fibre' don't necessarily mean healthy. You might think you stand better chance of getting a healthier meal at a more upmarket restaurant, but you could be in for a nasty shock. Understandably, chefs want the food they serve to be delicious. 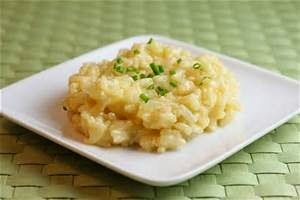 Unfortunately this often means a hefty dose of fat in the form of cream, butter or oil, combined with a generous dose of salt or sugar - so even a simple risotto can contain around 800 calories and 45g fat, a whopping 15g of which is saturated fat. This is around the same number of calories and amount of fat and saturated fat as a quarter pounder with cheese and fries. A study published in the journal Public Health Nutrition last revealed that people eating out consume an average of 200 calories more than people dining at home. Do your research - If you like to eat at the same place regularly, it’s worth taking a few minutes to check online to see if they publish the nutritional breakdown of their dishes. If they do, pay careful attention to the amount of saturated fat and salt, both of which can be high in restaurant food. If you work on the basis that a main meal shouldn’t provide more than 40 per cent of your daily calories, fat or salt, an average women should aim for no more than 800 calories, 28g fat (8g saturated fat) and 2.4g salt, while a man should try to stay below 1000 calories, 36g fat (12g saturated fat) and 2.4g salt. Don't gorge at lunch - If you know you’re going out for meal in the evening, try to be more frugal with what you eat during the day. Opt for a light, protein-rich lunch like an omelette or a chicken salad or a bowl of soup with a wholemeal roll. Cutting back on what you eat earlier in the day allows you a bit more leeway when you’re out. Take a look around - Restaurant portions are often more generous than you would eat at home, so, before you order, look around to see what other people are eating. If portion sizes look huge, go for two starters rather than a main course. If you’re a fan of pizza but find most of them too big, head for Pizza Express and choose one of the pizzas in their Leggera range, which have a thinner crust and a hole in the middle which is filled with salad - a simple but clever idea. Be the first to order - Studies show that we’re often swayed by other peoples’ choices when we eat out. 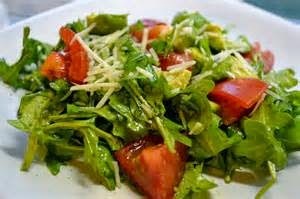 So, if someone else in your group chooses a salad, you might be tempted to order something different (psychologists often refer to this behaviour as a "need for uniqueness"). It can also work the other way. In an experiment published in the Journal of Consumer Research, when people were presented with two different types of cracker, the second person to choose was drawn to the same one as their colleague. So if your friend chooses something like the beer-battered fish with chips, you might be tempted to do the same too. The lesson? Order first. Careful with the nibbles - Don’t load up on bread before your meal arrives. 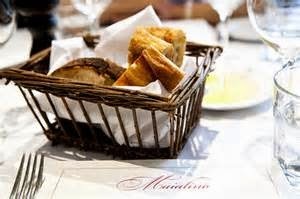 If you know you won’t be able to resist the bread basket, ask the waiter to take it away. Continental breads like focaccia and ciabatta that often come accompanied with a bowl of olive oil can spell big trouble if you’re counting calories. 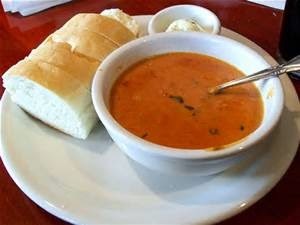 For instance, an order of rosemary and sea salt bread with olive oil at ASK Italian will add an extra 615 calories. 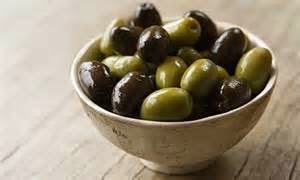 A bowl of olives adds an extra 261 calories. If you can’t resist bread, bread sticks or a small wholemeal roll are the healthiest option. Customise your order - If you want something special or want to know how something is cooked, ask. Don't be afraid to tell the waiter or waitress that you’d like your fish grilled rather than fried, and without the Hollandaise sauce (a big dollop of that will add an extra 170 calories and 10g of saturated fat, which is half the total amount you should eat in an entire day). Just make sure you do it when they take the order. Get some vegin - The amount of vegetables offered with a main course is usually quite meagre, so order an extra side of vegetables or a salad. And ask them to hold the butter - a side dish of broccoli contains around 30 calories but add even a modest knob of butter and the calories are immediately trebled. 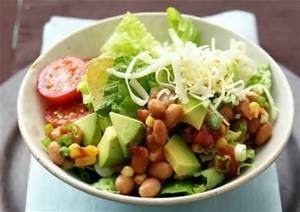 Get salads with the dressing served separately so you are in control of how much you add. Don't automatically go veggie - Don’t assume that a vegetarian option is a healthier choice. If it contains a lot of cheese or nuts, it will still be high in calories and fat. The vegetarian stuffed peppers at the Harvester restaurant chain, for instance, contain 759 calories, 40g of fat and a heart-stopping 21g saturated fat – that’s more than a woman should eat in an entire day.